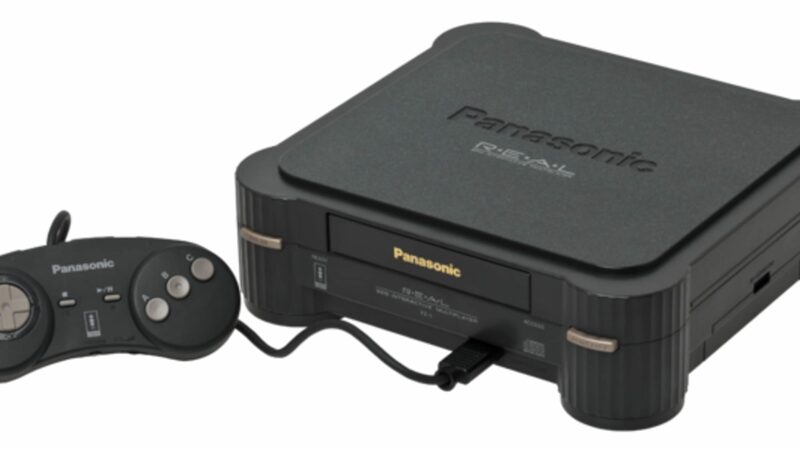 In October 1993, Panasonic released the 3DO Interactive Multiplayer system. It is a console designed to play multimedia games with photorealistic graphics, full-motion video, and possessed 16-bit, 44-kHz CD-quality sound. The 3DO platform was the first next generation 32-bit game system introduced to the American markets. New Technologies Group designers, Dave Needle and RJ Mical invented the blueprint for the 3DO multimedia system. It is a CD-ROM based gaming platform with an emphasis on cel-animation graphics. The quality of the system was obvious to everyone. By the end of 1993, Time magazine had named the Panasonic 3DO system, "The #1 product of the year." When it was released, 3DO Interactive software was a step beyond most current consumer multimedia interactive applications. With its powerful cel engine, the 3DO displays full motion video and fully textured maps and 3D landscapes in 24-bit color. Trip Hawkins is the founder and CEO of the 3DO Company. Hawkins is also the founder of Electronic Arts, a well-known software publishing company. He has been the driving force behind the creation and development of the 3DO. He had anticipated the day that there would be a standard software for home games. Unfortunately his dream never became reality. At its base in Redwood City, CA, the 3DO Company didn't manufacture its own systems. It licensed the technology to other companies, such as Panasonic, Sanyo, Goldstar, and Creative Labs. The consoles contain: double-speed CD-ROM drives, an ARM60 32-bit RISC processor, a digital signal processor which executes intricate graphics manipulation and video decompression. The 3DO system design allows room for expansion with an optional MPEG decoder. Unfortunately along with 3DO's high commitment to quality games, came an expensive price tag. From the beginning, the system was cost-prohibitive for the average gaming consumer. The original Panasonic player was introduced at a retail price of $700. A year later, the price dropped to $500. By 1995 systems could be purchased for under $300. With the advent of the wildly popular Sony Playstation and later Nintendo 64, the end was in sight for the 3DO system. More than two hundred third-party manufacturers were involved in designing software for 3DO. Some of the more well known companies include: Acclaim, Dynamix, Electronic Arts, Origin, Virgin Games, Konami, Crystal Dynamics, and Interplay. What does 3DO stand for? There hasn't been a definite explanation. Some have theorized it means "3 Dimensional Objects," or perhaps it is the next step in the progression of audio and video ("threede-o"). The system can run 3DO interactive software, play audio CDs (including support for CD+G), view photo-CDs, play Video CDs with a special add-on MPEG1 full motion video cartridge. Eight controllers can be used at once on the system. The 3DO corporation initially received a royalty for each console sold. They also made three dollars on each 3DO disc sold. Their software royalty was at three dollars per disc. Since they did not directly manufacture the 3DO consoles they had little control over retail pricing. Having sold off manufacturing rights to Matsushita and Sega, in 1996 the 3DO company exclusively entered the software publishing business. They have released such titles as Might and Magic VI and Meridian 59, which is the first significant multiplayer Internet game.